At this point, you late adopters don’t even have an excuse. 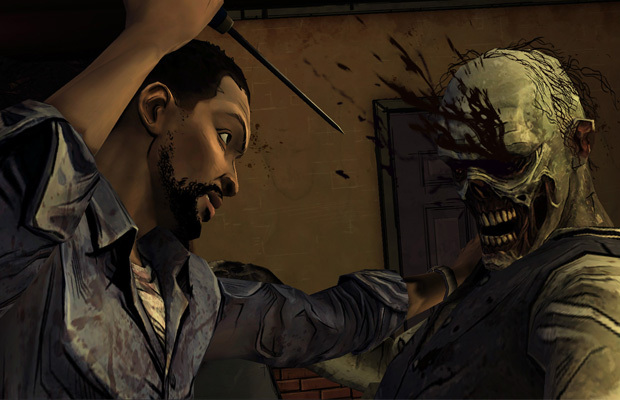 A recent ESRB rating seems to have outed a game of the year edition of Telltale’s The Walking Dead, one of the most lauded games of 2012. It’s hardly a surprise, considering it unexpectedly took the gaming world by storm with its relatable characters and its gut-wrenching, impossible choices. The game, which is apparently headed to Xbox 360, PlayStation 3, PC and Mac, and will include the 400 Days DLC, which launched in July and served to bridge the gap between seasons one and two. A GameStop listing uncovered by @lifelower, the GOTY edition will retail for $30 as well as a soundtrack and a behind-the-scenes video. The Walking Dead is set in the same universe as Robert Kirkman’s long-running Image comic series. Like the comic, Telltale’s adventure game is set in Georgia after a devastating zombie apocalypse – a world that’s violent, bloody and horrifying…and where people must make terrible, impossible choices just to make it to the next day. Those kinds of choices translated into a slam-dunk and insane critical and commercial success which is likely to continue when Telltale launches the game’s second season, probably this fall. Are any of you late-comers still on the fence about The Walking Dead? If so, why? Let us know in the comments.